The Foodie Monster! : Yakitori Taisho in the East Village..Delicious Japanese BBQ...and more! Yakitori Taisho in the East Village..Delicious Japanese BBQ...and more! 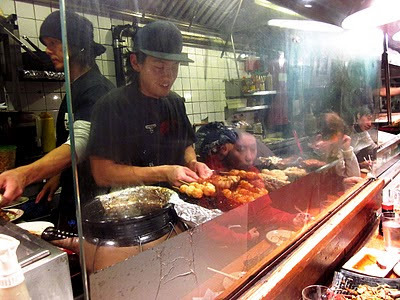 Yakitori Taisho has to be hands down one of the quintessential places to have great Japanese bar food in the city. 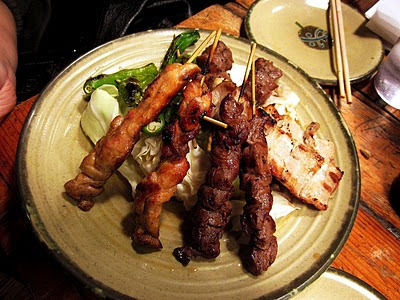 There is a huge variety of BBQ skewers and well as a ton of other small plate menu items. 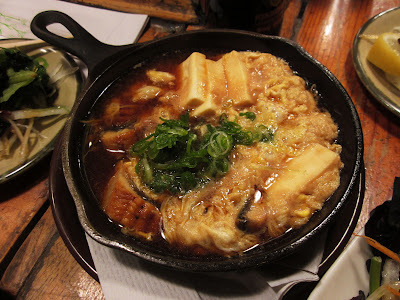 I hear Sake Bar Hagi in Midtown is great as well but I rarely hang out int he area. Yakitori is conveniently located in bustling St. Marks Place in the East Village, one of my favorite streets in the city, right amongst other cool bars and restaurants. We were seated right at the bar by the grill station and was able to see all the yummy food going out! 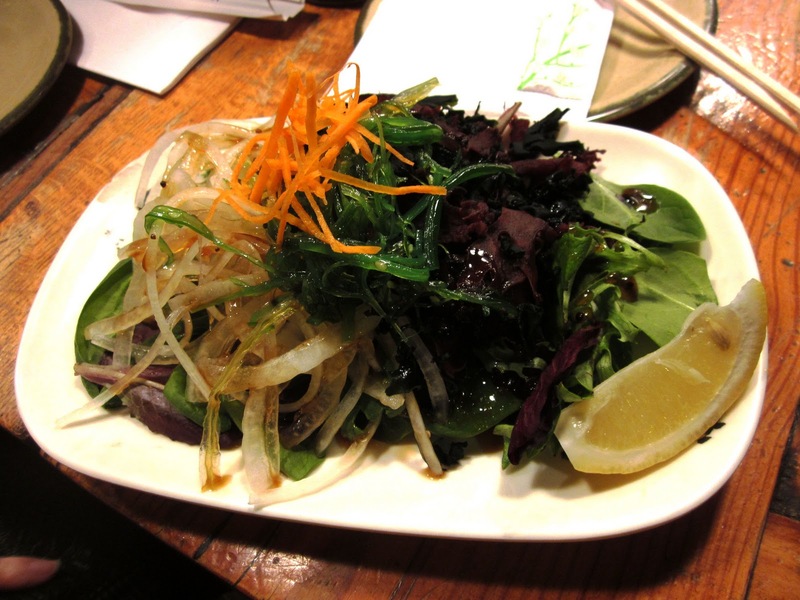 The first plate we started of with is the seaweed salad for I believe $5. It was dressed with ponzu sauce and had a nice variety of different seaweeds. The second dish was a delicious braised eel and tofu stew in a rich soy based broth. This dish was perfect for the cold winter night outside (I think I ate here in February) This was $6.50 and was perfect for sharing. A close up of my two favorite skewers in the evening. We actually forgot to order them earlier and glad we did! 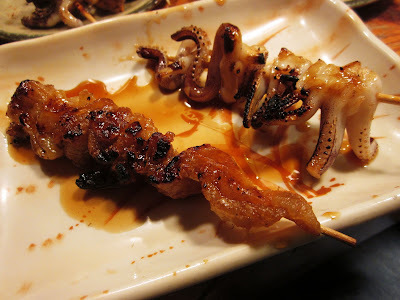 One is the chicken skin skewer and the other is grilled squid legs. And here it is! The main event. Skewers are $1.25 to $2.75 (for some seafood items). We just got one of each of the pork, chicken, chicken gizzards, beef, and shisito peppers. Everything we ordered was delicious. There are sooo many more items on the menu...fried goodies, goodies in soup, noodles, rice dishes, etc...for a full menu list click here. You can also check out other Yelp photos of of the food.